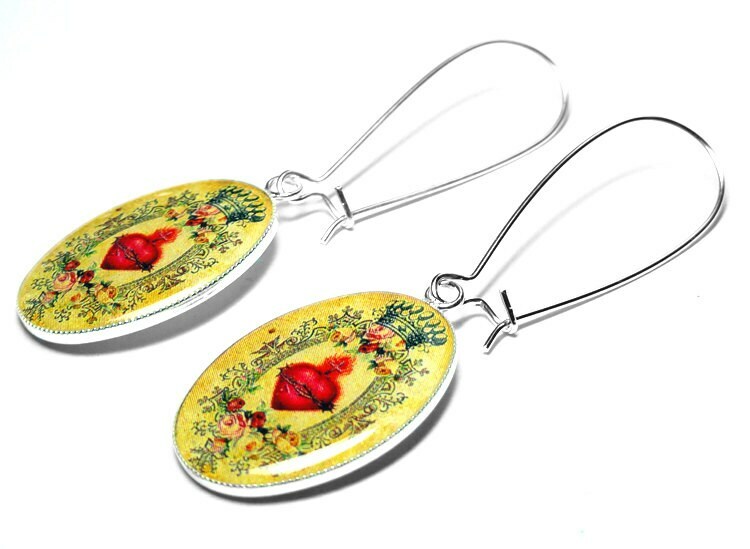 These beautiful Sacred Heart earrings measure 1" in length, about 2" total drop including ear wires. 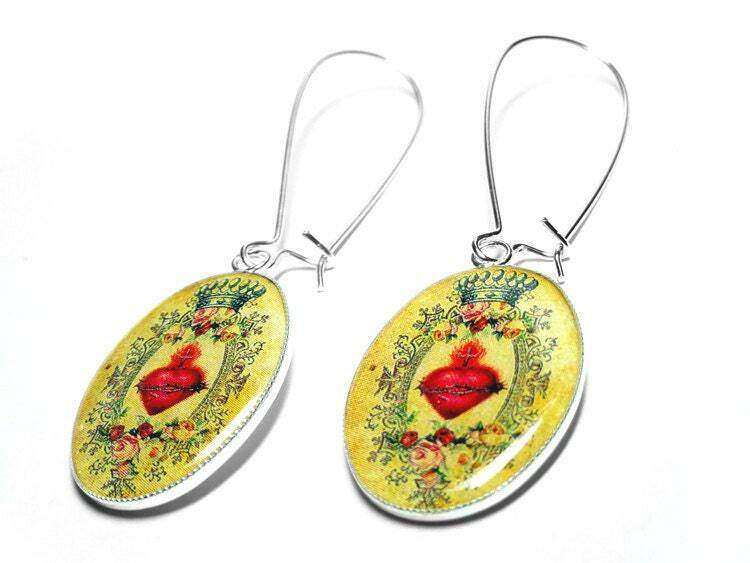 The earrings are made using only the finest resin in order to preserve and enhance the images. 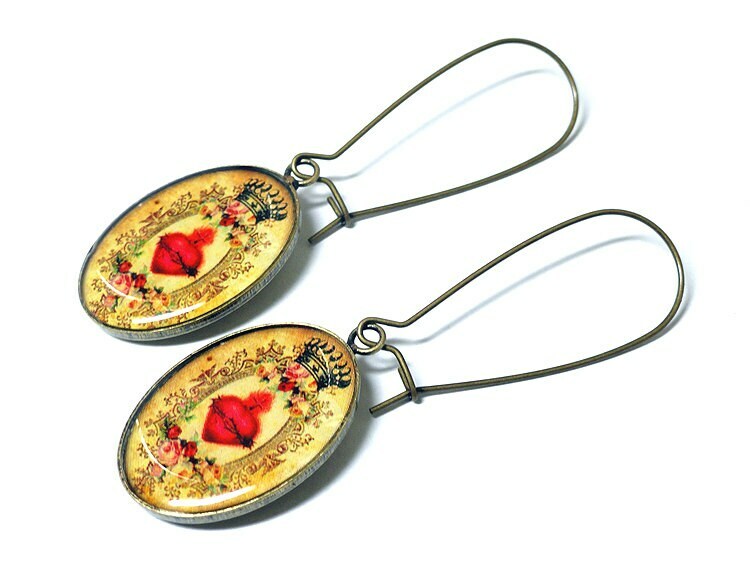 Please select silver plated of antique bronze at checkout. ► Love it and want to buy later? Click on the heart that says " ♥ favorite."